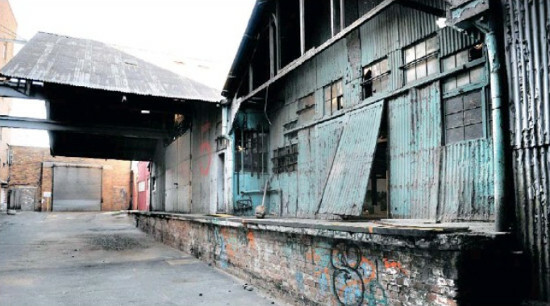 An abandoned industrial site which has been tucked behind high walls at the end of Fox Street for years will soon be transformed into a food and design emporium. The old storage sheds in the Joburg CBD. Hidden on the site are derelict, cathedral-style warehouses dating back to the 1920s. The old sheds, between Fox and Main streets in Ferreirasdorp, Joburg, were used as storage by the mining industry. The headquarters of some large mining companies were, and still are, in the vicinity. In the past, sections have been rented out to motor mechanics and panel beaters, but most of the warehouses have been empty for years. The precinct will be known as THE SHEDS @1FOX. One section of the warehouses is being transformed into a contemporary food, wine and lifestyle emporium. A decision will be made later on the fate of the rest of them. A heritage study of the site could not establish the exact dates of its construction as there have been many additions done over the years, but there are some elements of the Victorian era which have been incorporated into the design. There'll be coffee roasting, bakeries, furniture makers, jewellery and a nursery, as well as a dedicated section for a variety of food trucks. 'We will be planting lots of trees and fresh produce, hopefully involving food garden projects in the city,' said Garner. 'We want our customers to have a garden-like feeling when they walk into our market, but still keep the current old buildings and 'The Sheds' character,' he said. There will also be a wine bar showcasing South African wines. Unlike other food markets in the city centre, this one will eventually become a permanent one with custom-made stalls. 'We are situated between Fordsburg and Chinatown and this will create a great mixing place for foodie places and spaces,' he said. A temporary section will be opened on October 1 and run until after Christmas, from Thursdays to Sundays, with 'pop-up' restaurants and stores. From next year, permanent shop fittings will be put in. An events venue for weddings and parties will also be available in one of the sheds. Garner said the aim was not only to promote South African goods and designers, but also to encourage entrepreneurs by giving them a space in which to trade. 'We are hoping to attract the city's corporate workforce and apartment dwellers for a shopping and leisure experience in an extraordinary setting,' said Garner. 'We are hoping it will also become a tourist attraction as we're very close to the mining district which has an outdoor museum, as well as Chancellor House,' he said. The property is being developed and renovated by the Johannesburg Land Company, which owns the land.